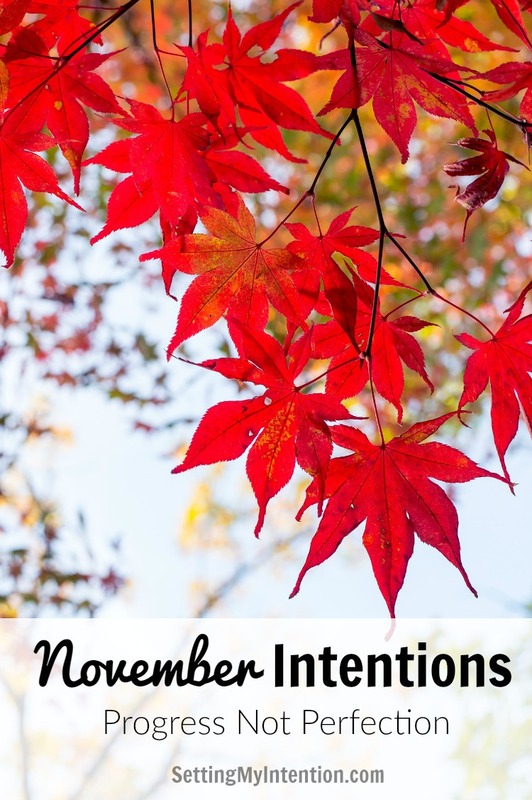 November Intentions and Recap of October! 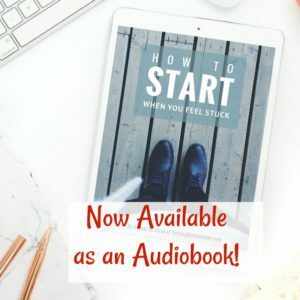 You are here: Home / In Life / Goals / November Intentions and recap of October! Things that were challenging in October: tracking expenses, blogging and finishing the e-book content and formatting. Things that went well in October: my morning routine, making our bed, keeping my gratitude journal, getting at least six hours of sleep, running, family time, and decluttering the basement. My husband has been doing great clearing the basement on his own – needing working space has been a great motivator for him! One of the additions to my morning routine for the past several months is the addition of 5 minutes of silence. I use an app called Insight Timer on my iPhone. You can set it to any duration and I’ve been adding one minute at a time through the weeks. I’ll write more another time about how Centering Prayer helped me to maintain my prayer life after my father died, but the practice is how I started with silence and meditation. I was introduced to it over 10 years ago and practiced Centering Prayer consistently for several months at the time. I’ve only recently come back to consistent periods of silence within the last year. Like yoga, I use it as a time to practice deep breathing and relax. While meditating I find myself slowly scanning my face and taking the opportunity to gently remind myself to relax my jaw, unfurrow my brow, and not to squint my eyes. I can’t say that this small amount of time has changed my life in obvious ways to outsiders, but I know that it will take time and consistent practice. I can say though that only during yoga and silence am I consciously checking in with myself and aware. I’m hoping that as I continue, this awareness seeps in to the ordinary moments throughout my day – where I can gently remind myself to unfurrow and relax. Going apple picking with the family and all the yummy apple dishes we made with them. The Boy Who Harnessed the Wind. This was the first non-fiction book I’ve read that didn’t fall into the “self help” type category. It was a really inspiring story! Consistent freelance work for my husband. We are grateful that we are able to live comfortably on my part-time salary and his freelance work without dipping into our savings. He’s able to be home with our youngest son after school on days when I’m working. Complete the first full rough draft. I have some beta testers from my email list that have graciously agreed to read and apply the material in the e-book before I launch. Ruth has great free content that she gives away and is a super teacher. If you’re interested in turning your blog into a business, sign up on her waitlist – you’ll get notified of her free courses. What are some goals that you have for November? Thanks Kimberly! Yes, writing the 3 things each day is helpful to reflect and appreciate the smaller things that I might just forget about. Thanks for reading and commenting! Boy, and I thought I was ambitious! These are great goals. Do need to get back to Centering Prayer – thanks for the reminder. Thanks Anne! Yes, centering prayer is such a special way to pray. Angela, it’s so encouraging to see all the things you are doing well with!! Woo hoo! I can’t wait to see another basement update!! Thanks Melinda! Yes, we have to get another basement update going. Thanks for the reminder! I love the idea of taking 3 slow, deep breaths in the morning! What a great way to start your day off intentionally! Thanks Heather. It is a way to guarantee that you’ve at least taken several deep breaths in one day. I’m always surprised at how I’m mostly breathing from my chest and not my diaphragm! I’d love to read that post about centered prayer. This month, I’m working on coming up with a few easy, meaningful ways to celebrate the weeks leading up to Christmas with my oldest kids. 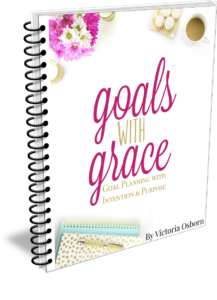 I haven’t written it yet Abby – but when I do, I’ll share it on the blog! We need to think about Advent as well. We’ve tried different things in the past. Fun to read your thoughts. I’m also trying to be more intentional about meditating on Truth and leaving room for silence. Thanks for stopping by Michele! Truth and silence are definitely needed for our souls. I think it’s great you are working on your ebook already and that you are keeping up with your gratitude journaling. I’m still struggling getting through EBA but I got some motivation back when I got the email that EBA 3.0 is coming out so soon! Thanks for sharing with Small Victories Sunday linkup and pinned to our linkup board. I love the idea of taking a few minutes a day to pray or just be silent. I used to take my morning commute for prayer, and it fell by the wayside once I stopped working outside the home. Best of luck on your November goals! My husband and I were introduced to Centering Prayer many years ago – it wasn’t the best fit for me, but it was for my husband! I totally get it, my brain just can’t handle it! So happy you joined us for #FridayFrivolity this week and hope to see you again on Friday!